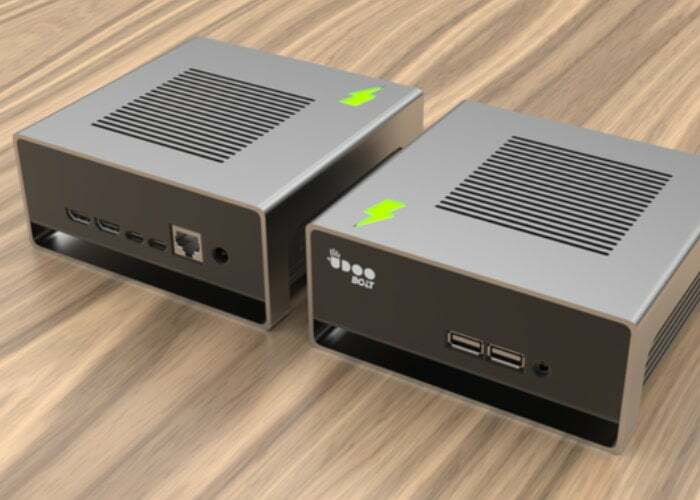 After launching thanks to a successful Kickstarter campaign the development team behind the new UDOO BOLT single-board PC are expected to start shipping the first boards in the next couple of weeks. Unfortunately the team missed the original shipping date due to unforeseen manufacturing issues but has recently made an update to Kickstarter revealing that the first 300 units should ship to early bird backers within the next few days. 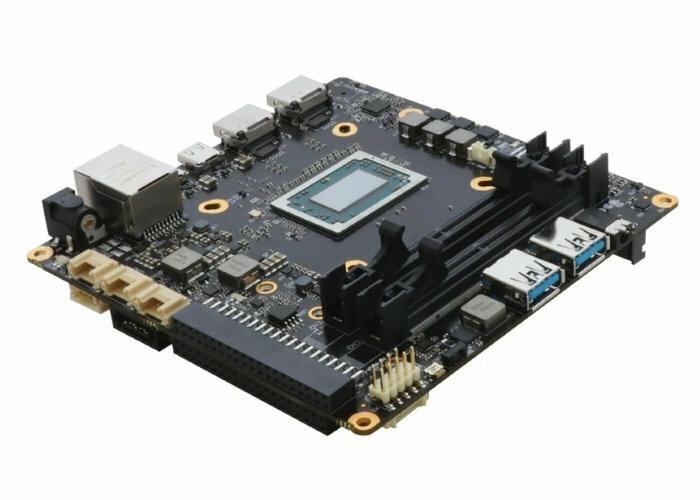 To recap the UDOO BOLT single-board PC can be equipped with a choice of specifications offering either a Ryzen Embedded V1202B processor with Radeon Vega 3 graphics or a Ryzen Embedded V1605B chip with Radeon Vega 8 graphics. CPU and GPU are supported by up to 32GB of DDR4-2400 RAM thanks to the inclusion of two SODIMM slots. While on-board storage takes the form of 32GB of eMMC 5.0 storage and the mini PC supports SATA hard drives or SSDs together with M.2 PCIe NVMe solid state storage. – PCI-express 4 lanes, which means compatibility with the new-generation NVMe SSDs, the fastest ones. – Possibility to add a 4-lanes-compatible external GPU for an over-the-top, immersive gaming experience. – It supports High Dynamic Range (HDR) and FreeSync 2. – It works with any motion controller or gaming accessory that already works on your PC. – It’s great for VR, especially DIY VR. – It embeds an Arduino™-compatible platform, so you can build your own gaming platform the way you really want. – Keyboard Scan to create combo custom controllers. For more details jump over to the official Kickstarter crowdfunding campaign update.